Today is the 90th birthday of our longest serving Monarch, Queen Elizabeth II. She has now served as our queen for 64 years 72 days - a whopping 23 488 days. So we thought we might give you a few facts and figures about her. Since she took the throne the Queen has given royal assent to more than 3500 Acts of Parliament. 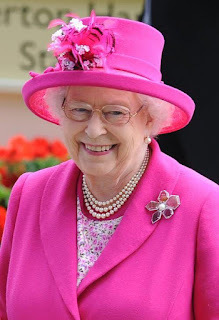 It is estimated that the Queen is worth around £340m, putting her 302 on the UK rich list. The Queen owns every one of the 5000 plus breeding pairs of mute swans in Britain. The Queen sent an email from an army base all the way back in 1976! Every morning the Queen's breakfast table is laid out with cornflakes, porridge oats, yoghurt and light and dark marmalade. During her reign, the Queen has been on 82 state visits and received over 100 inward state visits. The only year the Queen didn't broadcast a Christmas message was 1969. Over 1.5 million people have been hosted at a Graden party in either Buckingham Palace or Holyroodhouse during her reign. There has been more than 175 000 telegrams sent to centenarians in the UK and Commonwealth. Since 1952, the Queen has given more than 400 000 honours and awards. Elizabeth has had to work (or perhaps endure) 12 Prime Ministers: Winston Churchill, Anthony Eden, Harold Macmillan, Alec Douglas-Holme, Harold Wilson, Ted Heath, James Callaghan, Margaret Thatcher, John Major, Tony Blair, Gordon Brown and David Cameron. She has been married to the Duke of Edinburgh for 68 years. The Queen has four children: Prince Charles, Princess Anne, Prince Andrew and Prince Edward. She has eight Grandchildren and 30 God Children. There are many many more facts about the Queen, as she has been our Queen for so long and has led a brilliant life. Today though is a day to say Happy Birthday Ma'am.